When you’ve been cleaning carpet, tile & grout and upholstery as long as we have it pays to have the best equipment that money can buy. The Masterblend El Diablo is the machine for the job! The El Diablo gives the operator the right amount of power and heat to complete the most difficult tasks. The ability to dual wand cuts job time in half which cuts overhead down considerably. Our customers have noticed faster drying times since we began using the Diablo. The Masterblend line of detergents have also been added to our arsenal. I’ve noticed that they have an exceptional pet odor removal product called Odor Encapsulate. This product has done wonders with cat and dog urine. Our tile and grout cleaning service has picked up considerably due to this new piece of equipment. We’ve been cleaning tile and grout more efficiently due to the intense diesel powered 350 degree heat that the Diablo provides. Equipment costs in this business are extremely expensive but it’s worth it when you get what you pay for and I feel that I got that with the purchase of this incredible machine. If you would like us to demonstrate the El Diablo’s incredible cleaning power please call us or schedule a free estimate online. “Give your home the Fresh Start it Deserves”. 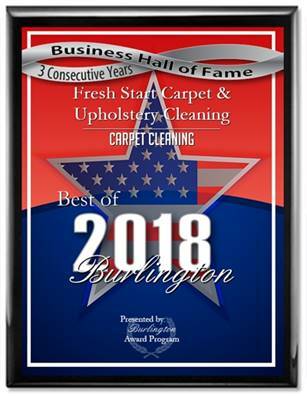 Fresh Start Carpet is your best source for: Cherry Hill, NJ.